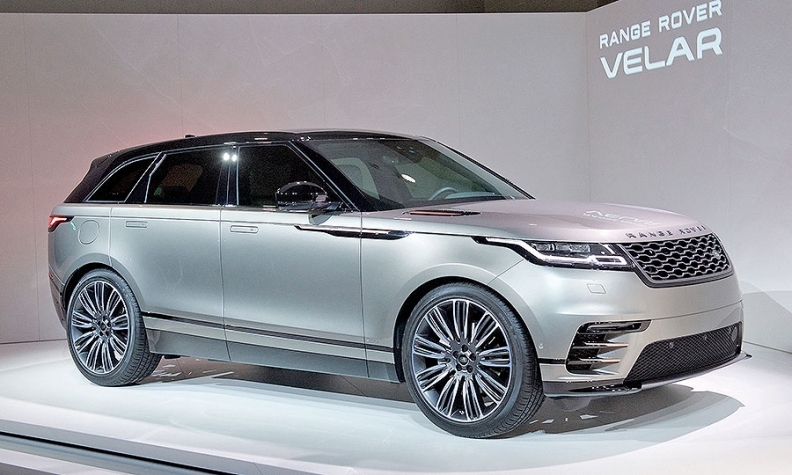 The Range Rover Velar will boost JLR sales. MUMBAI -- Jaguar Land Rover’s lower sales in the U.S. and Europe pulled down profit at parent Tata Motors. Tata Motors' net profit for the quarter ended Dec. 31 was 12 billion rupees ($187 million). Jaguar Land Rover's profit before tax fell 25 percent to 192 million pounds ($271 million). JLR deliveries grew at a slower 3.5 percent pace in the quarter because of weak demand in North America and Europe. While its newly introduced Velar attracted buyers, deliveries of Evoque and Range Rover Sport SUVs declined. Growth in China was offset by flatter demand in the UK and mainland Europe due to uncertainty over the regulation of diesel and concerns over Britain's departure from the European Union, the company said in a statement. Last month JLR said it would temporarily reduce production at its plant in Halewood, England, in response to weakening demand due to Brexit and tax hikes on diesel cars. JLR sales chief Andy Goss said last month that deliveries this year will increase with the launches of the Jaguar E-Pace compact SUV and the I-Pace, Jaguar's first battery electric vehicle, as well as full year for the Velar and new Discovery.